Listed below are some globe related web sites. Bruno Berti's excellent web site explains the ancient world of discovery until Colombus. Web site for the Coronelli Society which studies globes, globemakers and other globe related subject matter. An American based dealer in Antique, second hand, and once loved globes! 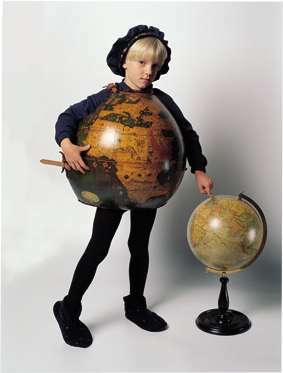 Sabine Rethore is based in France and makes unique globes embracing art. and when he is not turning components for us he produces the most beautiful bowls, vases etc. as wella s larger commissions. If you have a globe related web site and would like to place a mutual link, please e-mail us with your details: jamesbt@greavesandthomas.co.uk for consideration.